The DOST- Forest Products Research and Development Institute (DOST-FPRDI) joined the science community in celebrating this year's National Science and Technology Week (NSTW). Among the featured FPRDI technologies were the bamboo hot press machine and some furniture pieces made from old rubberwood trees. The FPRDI-developed hot press machine (photo above) drastically cuts the production time of engineered bamboo from 6-8 hours to just 8-10 minutes. "Engineered bamboo products are bound bamboo fibers, particles, strips or slats. 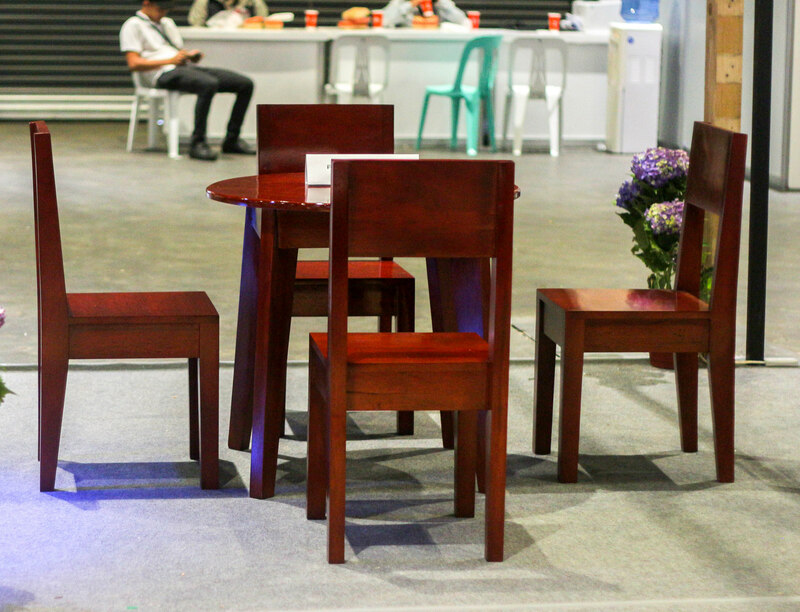 The material can be turned into furniture, handicrafts, panels and other novelty items and is often stronger and less prone to warping than equivalent solid woods," explained Dr. Rico J. Cabangon of FPRDI's Technology Innovation Division. According to Cabangon, the hot press costs around Php 150,000 and can be operated using either electricity or charcoal as heat source. Also displayed in the exhibit are furniture pieces made from rubberwood (Hevea brasiliensis) lumber manufactured in Zamboanga Sibugay. Early this year, the Institute partnered with various private and government offices to process old and unproductive rubberwood trees into high-value furniture and mouldings. The project aims to maximize the use of this resource by establishing a complete line of rubberwood processing facilities from timber harvesting to finishing in Zamboanga Sibugay, and by training woodworkers on processing techniques to produce high-value products.